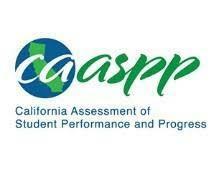 State Testing, which includes Smarter Balanced English Language Arts/Literacy and Math (SBAC), CA Science Test (CAST), and CA Alternate Assessments for ELA, Math and Science (CAA) for 11th and 12th grade, will commence on Apr. 8 and continue through Apr. 26. Block schedules will occur Monday, Tuesday, Thursday and Friday. Check the calendar for specific dates and times.